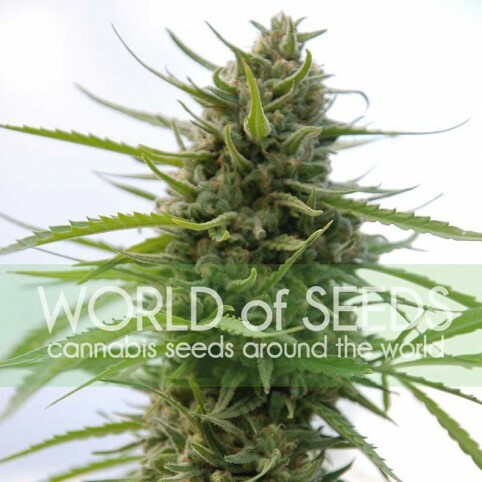 Pure African sativa, early maturing rather to be a sativa from the Kenyan slopes of Kilimanjaro. This variety is the result of several years of endogenous production of the natives, and later stabilizing and improving some of its features, such as resin production; but leaving intact their qualities and flavor. The natives call "elephants grave", and is used in religious rituals and hunting for their exciting and trippy effects. One of the best varieties for growing outdoors or greenhouse. Nice citrus flavor and high power, produces solid buds even in bad conditions. Branches long and has a very vigorous growth, while reaching more than 2.5 meters high, maintaining a very good resin production.